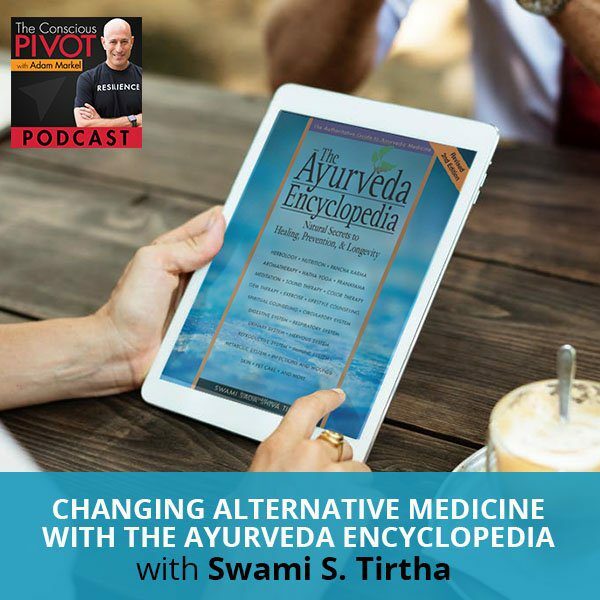 Swami S. Tirtha is the author of several books bringing forth spiritual concepts for modern times, including the Amazon #1 best seller, The Ayurveda Encyclopedia: Natural Secrets to Healing, Prevention, and Longevity. Swami has taught wellness & consciousness for more than forty years. 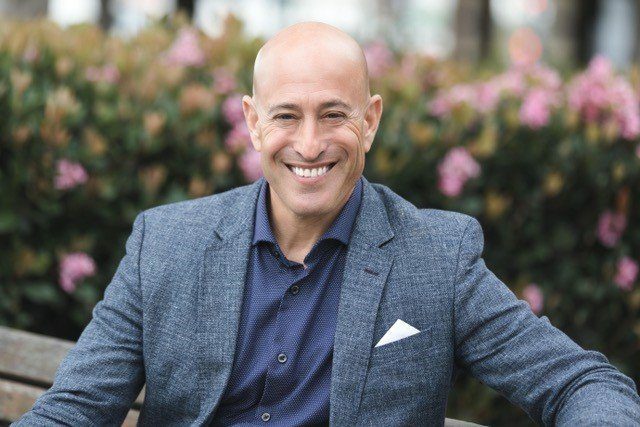 He’s a well-known expert in the alternative wellness space, having spoken at places like Johns Hopkins Medical University and the White House Commission on alternative medicine. Dubbed the ‘Master of Joy’, Swami emphasizes instant breakthroughs in wellness and energy, creativity, vision, and communication skills that empower leaders and employees. Learn more about he pivoted from the “real world” into the spiritual world and then back again, eventually learning the art and science of surrender. I’m so happy that you’re here to spend time with me and the rest of our community. What a blessing. As every new day begins, I think it’s a perfect moment. It’s the divine moment and an optimal moment to be in gratitude. I woke up this morning, I was a little tired and I thought to myself, “Do I want to feel tired or do I want to feel grateful?” I could very easily have just said, “I’m okay to feel tired,” and that’s true. I don’t want to deny what my body was telling me, but gratitude is a much bigger energy. It’s much a more powerful energy. It’s definitely our choice at all times. I remember reading and rereading an Og Mandino book, which is The Greatest Salesman in the World and then there’s another book called The Greatest Miracle in the World. In The Greatest Salesman in the World, Og puts out this proposition that the person that allows his or her thoughts to control his or her actions is weak compared to the person who allows or cultivates actions to produce thoughts, in essence that we take actions to produce new thoughts. For me, my action was to put my feet on the floor to stand up and declare out loud, “I love my life,” because that put me in a mindset of gratitude. Whereas before that, my body was saying, “I’m really tired.” I don’t know how grateful I feel as I’m craving more sleep in this moment. Hopefully, that’s something that you all can identify with. I think we all can. What a blessed day. I feel lucky to be here with you. I feel so appreciative and grateful for the opportunity to be able to speak into this microphone. I know some of you are watching on YouTube as well, so you get to see my bit of a tired face as well as the much more exuberant and lit up face of the guest that I have to share with you, somebody that I think you’re going to enjoy. I know I have enjoyed this gentleman immensely in the short while that I’ve gotten to know him. I get to share him with you and it is a blessing to me as well. We’ll be with Swami, sometimes known as the Orange Cowboy and we will find out exactly what that is all about. Take a break from whatever you’re doing. Whatever you’re up to, wherever it is, take a few deep breaths and keep your eyes open. If you’re operating any machinery, keep your eyes open, but we’re going to have some fun. I don’t know where these conversations will lead. I have a sense. Everybody that we bring on the show has a great pivot story and this gentleman is no exception to that, so let me share a little bit about his bio. Swami is the number one bestselling author of The Ayurveda Encyclopedia: Natural Secrets to Healing, Prevention, Longevity. When Swami was younger, both of his parents were tragically killed in a car accident. He transcended this adversity in profound ways through discovering the light within. Swami has been teaching meditation for over four decades and has had several wonderfully enlightening books to his credit. He’s presented to the White House Alternative Medicine Commission and has spoken to international medical schools including Johns Hopkins. Swami, you’ve been doing this work for a long time. If you could fill in the gap in your bio for us and what it is that you’re passionate about, then we’ll dive into the meat of your pivot story, which will be so much fun for us. It’s a joy to be here with you. I already feel, from just knowing you a little bit, that we’ve connected. I went to India and I met my guru there. A few years later, he recognized me as a Swami, as a monk. That was a huge pivot getting me to India and that was the dessert, the reward, if you will. I got an invitation to go to the Amazon Rain Forest. The shamans there recognized me as a natural born shaman and healer, another wonderful outcome to a huge pivot choice. Nowadays, the biggest news and one of the reasons I’m excited about talking with you is having a foot in both worlds, the foot on the spiritual world and in the real world, the 3D world. There’s a prophecy in the Shamanic world. They call it The Eagle and The Condor prophecy where spirit and science come together. Eagle is science and the condor is the spirit. To be able to talk about one of my passions is joy and how joy is a leader’s best friend. Joy is your passion. Sometimes things that are so obvious are really profound. That’s a pretty interesting statement, that joy is my passion. It’s the age of celebration. There’s research that finds that people are feeling guilty of being happy in this world. Our natural expression, look at any child, they’re naturally joyful. Then we were programmed out of it. It’s happening less and less. The millennials got treated much better that way. The whole world and the shamanic world around the world has this prophecy that we are now in an age of celebration and it will kick-in in 2020, but that’s it. For anybody who’s doing good work, we have conscious thought leaders around the world. Then what happens is somewhere along the way, we forget about the joy that got us started and the joy has diminished or left or put on the back burner until I do this. Now, we have this opportunity where joy is flooding the gates for us and all we have to do is be aware and go ride that wave, surf that wave of joy. I don’t know if you’re familiar with Brené Brown‘s work, but it’s a wonderful work in the area of vulnerability and how people deal with shame. Her studies show that people feel more comfortable in their pain than they do in their joy. It’s tougher for them to be seen in joy than it is for them to be seen in pain. That’s a pivot question for me because I always look for the cause or the root of an issue and pivot is another good word for that. As we’re growing into the age where we’ll all comfortable celebrating, I’m human. It’s not like I’ve got someplace, and I’ll help you get here because I don’t. I’m not down there. It’s not like that. We’re all clearing stuff and I had a clearing and I heard myself say, “If that’s feeling better, we have to find something else if we have a problem.” It was an awakening, “There’s something I could work on. Who are you to be happy? Look what your ancestors went through.” You got that programming. You’re not worth anything or if you don’t get all As, you’re not worth it. We had so much programming in the old age. Think of the times. I remember my childhood when I was pure joy and I get beat up or laughed at. We all had that somewhere along the way. You started by talking about when you woke up, you made a choice. I call that a mini pivot. You made a mini pivot in the morning. For me, that’s the actual pivot. A child, do they wake up and pivot into that? No, they wake up in that joy. They just bound out of bed, “Another day in Disneyland.” That’s where we’re getting back to and it’s gotten to the point where there’s enough people out there who see me in the joy and go, “That’s cool.” I’m saying, “I don’t care if there are people who want to put me down or laugh at me.” In fact, when they call me crazy, good. I’ll put that as another crazy badge with the rest of them on my chest. I know I’m doing something right when people call me crazy. We had so much programming in the old age. When I say, “How do you know,” what comes up for me is ego. I go, “Here’s another one of these ego questions with an ego answer,” but you have a knowing inside of you. Not the know that we should listen to you, you’re an authority, you’re an “expert.” I’m no expert and I don’t want to be perceived in that light either, but I have certain knowings. I’ve gotten to a certain age and have had a few experiences in my life, I had a few pivots. Randi and I have been married a long time. We have a bunch of kids. We’ve made enough mistakes that I have certain knowing. I don’t even say, “You can have knowing when you’re eight years old.” You have a knowing that we are moving or that our world is leaning toward light or leaning toward a more enlightened view of life and more joy. These kinds of things that we’re talking about, this essential pivot of the mind, how do you believe you know that? What cultivated that knowing inside of you? It’s not a knowing. It’s an experience that people are responding. They say, “You walk in the room and I’m happier.” I don’t have to do anything other than be happy. This makes me happy and it makes other people happy. Effortless help. It’s the lighthouse. I tell people, “You’re the lighthouse.” When there’s a ship out there that needs help, you don’t turn off the light, go downstairs, and swim out to help the boat. No, you leave your light on. Shine your light. It is effortless. Part of the joy for me, and this may be a little bit new for some people, but it’s an experience, spirit or angels or a higher source shows me when you listen to that advice, the angel will say to me, “Would you like to do this now?” They don’t say, “Do this;” they invite me. I’ve learned the hard way that when I say yes, they do the work for me. They raise the tide and all ships rise. For our audience who are hopefully not looking at anything as they’re driving or operating or whatever they’re up to, describe how it is that you’re dressed at the moment and how it is that you’re dressing around the world when you’re traveling. I’m a monk from India. Not that my guru told me to do this, but monks in India wear orange, orange robes, orange shirts, orange hats. I started wearing orange because when I saw it in my head, it brought me a lot of joy. Then I found the t-shirt at the Gap and I found a hoodie at the Gap and before you knew it, I was head to toe in orange. I said, “I’m a little bit embarrassed, but I’m also a monk.” We’re on our both worlds, east and west. When I moved up here, it was so bright. I needed more than a baseball cap. I had an orange baseball cap, so I wound up with an orange cowboy hat, which is a nice wide brim. I’m upstate New York and it’s very bright, so it just works. I love it. There’s something about the cowboy spirit, the freedom to just be in nature. There’s a whole another side of cowboys, but this is the essence of the cowboy spirit. When we were kids, five, six, seven years old, what did we want to be? What did we play? We have three daughters, so I remember our girls, they played dress up. We played dress up when we were kids, being a cowboy and being an astronaut and being all those kinds of things where things we did without any self-consciousness about it. You’re in the role and in the persona of the Orange Cowboy. Ayurveda Encyclopedia: It’s not a knowing. It’s an experience that people are responding. We get to share this with everybody as we’re experiencing right now, which is the synergy between us. I love the fact that the universe always delivers the perfect guest in the perfect time for this show. I would believe that anybody in the audience would feel like this is the perfect moment for me to be listening to this particular content at this time. It’s always seems to be the case. I have a picture with an orange wall. What it says above is, “More love.” This is our teaching studio. We do programs, typically public speaking programs, but we do some marketing programs as well. Half of the entire space is orange. We walk into an entire room of orange. There might be something else happening, but that’s probably more joy than we can handle, and we got to work on ourselves. As we become more enlightened, we’ll paint another wall. When I was a kid, my mother put an orange carpet in my room for my whole childhood. Orange curtains, orange carpet. Talk about weird things. If you could, Swami, let us know a little bit about your pivot story. We’ve all got them and some of them are these beautiful, elegant, graceful pivots, and you go, “I was inspired to change my direction, my career, or my life in some way and this is where I am today.” A lot of times, those pivots are not quite as graceful at the time or elegant at the time and they’re a bit tough. I know there’s not just one pivot, but the most poignant pivot in your life. Share what that was like for you. Pivot one was the inner voice to choose to go to spirit. Pivot two is hearing the inner voice to go into the unknown, which is very scary. Every group, even spiritual groups, have peer pressure, so when you’re in a pure pressure group it’s like, “We’re the only ones. We’re the best ones. If you leave here, it’s going to be a sin against God.” I had all that on one side of me. The other side, all I know is I need to leave here. I went home like a blank slate, like an unknown, and had to listen to everybody laughing at me going, “You made mistakes. Now you’re back home.” It didn’t even faze me hardly because I had to follow that inner voice. I came back in the world for five years and what was happening is I was pivoting spiritual world, 3D world, world spiritual, 3D world. After five years in the television industry, I felt I had to jump back into the spiritual realm. I quit my job and that last moment I had two cats and I had to give them away. It was a rainy night. I was handing these two cats to somebody in front of their house. It was like out of a movie. It was like, “I can’t do this, but I know if I stay in my job, my life is just ticking away.” The other option is take a step into the unknown because at least maybe I’ll have a better life. The next pivot step is choosing the lesser of two evils, choosing an unknown for a known that’s safe and comfortable, but it’s not even really comfortable. It’s just boring and empty and no future, no life. Then I went to India and that’s when I met my guru and started visiting every year. Eventually, he recognized me as a Swami, which was really a pretty cool thing. Then I came home, I was learning Ayurveda before that started, I started a school in ayurvedic medicine. I don’t know if it was really a pivot. It was like in the middle of my head, I saw a bottle of herbs and it was like the spirit’s saying, “Start an herb company.” I had no experience in business. I grabbed a piece of paper, I was in a hammock resting and that’s when the thought came. Paper, pencil, and calculator and I figured it all out and I said, “I can actually break even in this business.” That’s how I started the business. It’s almost like a Dr. Dre with these speakers. It maybe not a $3 billion-business. You receive this guidance that that’s a space for you. I opened up a shop and I used some money that my parents left me. This is when spirit kept coming to me. This isn’t quite pivot, but you talk about the word faith or belief. Every time I ran out of money and it’s like, “This is the last month. I can’t pay the bills after this.” I didn’t know what I would do. All of a sudden, my accountant would call and say, “I found some money from your parents. I’m going to send that over to you.” That happened three or four times over five years until I started to say, “I get it. I’ll just put my faith in you. God, Lord, Spirit.” That’s what I call faith. Faith in experience. Faith that when I choose to listen to my heart or to my inner voice, to spirit, things just work out. It’s unconventional. If I look around for support, I’m not going to get it, so that’s okay. Choose the lesser of two evils. Choose an unknown for a known that’s safe and comfortable. Would you call that surrender, Swami? Surrender based on experience, not blind faith. There’s a real big difference for me. There is a challenge that we all face at certain times whether to surrender. What does it mean to surrender? Is that blind faith or something else? Is surrender giving up or a surrender opening up? For me, it’s like a scientific experiment. It’s replicable. Every time this happens, I get that message, I listen, and things work out. It’s at 0.001% likelihood of margin of error. This is really working. I don’t know if this has been the case for you or not, but for me, I feel like I fall off the faith horse and I get back up and I fall off and I get back up. It’s amazing to me. I get a little angry at myself too because God, that’s the word that I use not in a religious sense, but very much in a spiritual sense that I know I’m not alone, I know I’m supported, I know this is all very purposeful and nothing about it is random to me from my viewpoint. Every time I lose faith, every time that I forget what I know by experience is real truth, I get forgiven. I know I get forgiven. There’s never a time when because I lose faith or I forget what I learned that my spiritual father punishes me. There are circumstances in the natural world and the physical world when we forget things and when we don’t remember our experiences. We make the same mistakes again. We will seek and we will receive consequence, for sure, but I’m always forgiven. Always when I’m willing to remember my faith in my faith, things that I will call miracles occur all the time. It’s like the money that just shows up. It’s like, “There’s some more money from your parents. There’s some more money from this. There’s a refund on some tax you paid that you over paid or some insurance.” You’d go, “Where did that come from?” Some other things where it’s so clear that I’m being supported, that we’re being supported. Is that what you mean when you say surrender? It’s surrendering to the knowledge that these everlasting arms are holding us and supporting us at all times. Is that what you’re saying at all or is it something else? Surrendering is to stop fighting the help that’s there for you, the divine help. It’s like if you’re using the surfboard analogy. Here comes a big wave and you get off the board and you put it sideways and try to resist the wave. Instead, get on your board and have a great ride in. Surrender is really surrendering to your own blocks. Stop blocking yourself, get out of your own way. Surrender may not even be the best word in this concept. Aligning yourself is another good word. Michael Singer is one of my favorite authors and The Surrender Experiment is one of his books. I personally prefer The Untethered Soul but I loved The Surrender Experiment. That was challenging for me, this idea of surrender because it’s not resignation. Surrender doesn’t mean quitting or giving up. The only way we ever lose at anything is when we quit or give up. Surrender is something different. The analogy of surfing is wonderful. I’m a Pisces, so water man. I love to be in and around the water all the time and I surf. You’re right. If you have the board facing parallel to the shore, or let’s say parallel to the wave, you’ll get clobbered. You’ll wipe out big time. When the board is perpendicular to the wave, you might get wiped out, that can happen. You could fall off the board, but you also have this incredible opportunity to allow a force that so much greater than yourself. The force of the wave is so much greater than whatever power or energy that the surfboard has. It almost has no power in and of itself, but as soon as it’s placed in the wave, you place yourself in that position to be taken and to be supported. That energy can bring your places you never imagined, which is miraculous to say the least. Surrender is like agreeing to stand in a space where you’re going to meet God, because there’s no time, there’s no space, and there’s no external. What I see is right now is you and I are standing at a crossroads in a little Spanish developed town and in that crossroad, because we don’t know where to go and we don’t know where we are, God shows up and says, “It’s so great to chat with you.” To me, that’s the surrender. In a space where you’re going to meet God. What a beautiful way to explain what surrender is. The spirit gave me that vision, so I shared it. You are identifying what I think was four parts of your pivot and we break things down. It’s helpful when we have things broken down into pieces, so would you state what those four parts of the pivot are for you? I’m very much about showing how the mechanics of something works because it’s replicable. The first I said was listen to your inner voice. Second is when you have two choices and you know where you’re headed if you do nothing, if you don’t take action and the unknown, you don’t know. You don’t know if you’re going to wipe out on the board or not, but there’s the opportunity that you can succeed. Pivoting too is taking the lesser of the two evils, choosing the unknown, even if it’s a small step. The third pivot I call the nth degree pivot. It’s a new level because we’re starting to have that true faith of the experience that we can think forwardly now instead of backward, getting over something. We can say, “What if I can move forward before the backward pivot even comes to me?” If I’m about to meet you, in my heart, I want this to be love, I want this to be joy, I want this to be miracles. My heart says, “What would the nth degree be if I wanted to be the best experience with you? What would that feel like? Look like?” My heart just goes there. The nth degree, I always look at what’s the goal. The caveman put the pictures of the animals on the cave walls spearing them. They saw the goal. Seeing and visualizing the goal is what I call the nth degree. If thinking positively brings us positive results, what would the best result be? Just forget all the steps and go right to the ultimate goal. The ultimate goal is you and I become so enlightened, your audience become so enlightened that the world lifts up 100%. I don’t know what that means, but in my heart, my heart gets it and I just jumped into that. I jump into that pivot. I am now proactively pivoting myself. It’s another way to say the nth degree is the best conceivable result, at least from the standpoint of our perspective? Exactly, and it’s always better too. It’s such as the synchronicities where we’re saying the same word at the same time. I’m calling this pivot to become one with spirit, so new that it’s just developing. I’m stoked to share what’s literally happening to me now because I love to be with people in the mechanics themselves, to see them go through it. I’d love to be able to share that with people. How do you develop this new pivot? Everybody’s going through a new pivot or a pivot, so what is the gratitude? The other is just the awareness to say, “Thank you for letting me have that wonderful, angelic flying experience today.” You know you’re going to get more of that. It’s a whole new level of breathing of oxygen. The closest thing I can call it as the pivot to oneness. Let me see if I’ve tracked these four parts. Number one, listen to your inner voice. Number two, choosing the unknown, and that is remarkable. Number three is thinking forward the nth degree, the best conceivable result that we can create in the moment. Fourth is to become one with spirit, the pivot to become one with spirit, which lifts us out of our own self-limiting thoughts, beliefs and experiences. We’re free of all bounds of our mind and our physical experience. The tools are looking at the light, looking at your visions, and being aware. They’re so natural. I’ll say the light, vision, your feelings, what you hear, inner voice. I want to say that for people who might think, “He’s got this gift,” or something, it’s so natural, it’s right in front of our noses that all of us do it. It’s a part of us. I’ll give you an example. When I moved upstate, a friend of mine said to me, “I’m going to be interviewed on a psychic radio show. Why don’t you listen in?” I go, “All right.” I know him. I don’t know what psychic radio is. I hear them talking about their psychic gifts. And I say, “Is that psychic is? I’ve been like that my whole life. That’s no big deal.” I want to give value to your listeners that it’s that natural. We have been programmed to ignore it or to destroy it or to put it down or to devalue it. That’s the only reason that we think we don’t have it or that it’s something not special. In personal development experience, let’s say the experience I’ve had both being in personal development as a student as well as a trainer and a teacher at times, what I’ve discovered is a lot of people just don’t trust themselves. When we work with people, whether it’s in the things they’re pivoting into, an entrepreneurial space, their new business, they’re speaking, they want to become public speakers, these are kinds of things that we find. We work with people on the deep-rooted stuff that stops them or sabotages them again and again is a lack of self-trust. A part of what you’re bringing up is that we’ve been programmed, on some level, not to trust that inner sense. There has to be somebody outside who we have to go to, whether it’s the profit or the government or the banker or the teacher. It’s all in us and it integrates outwardly. Mothers have this, mother’s intuition. Guys have it too but when guys are in-charge of the kids, they develop father’s intuition. There was an article I read, it was either Inc or Fast Company, that the most successful CEOs are the most intuitive in the business world. It’s all the same. It’s all one. That’s one of the beauties of this new age, science and spirit, business and an empathy helping the world. In the millennials, you see that that’s the new way that they’re going to change the face of business in that way. When guys are in-charge of the kids, they develop father’s intuition. I think millennials are more self-aware than we were and that’s the consequence of evolution. They are more self-aware; they’ll be more evolved than we were clearly. They’re also more self-trusting. They trust their intuition or their instincts or their gut, which is maybe a more secular way that people refer to the same concept. Self-trust is really the root of this. Intuition isn’t necessarily something that’s coming from outside, that we’re given by our creator or given by my something else. It’s something that’s cultivated inside of us. We learn to rely on or trust that self-guidance on the inside is the correct guidance for us, even despite the fact that maybe people around us might say otherwise and there are things that are contrarian that would drive a different result if we were following the herd. When you talk about successful business leaders, they typically are not the ones that have followed the herd. They’ve denied the voice or the call of the herd. People said, “You are nuts. You’re crazy and this will never work.” Somehow, they follow their guidance system anyway. Is there one particular ritual that you’ve adopted? The audience to this particular show know we’re talking about consciously created habits, master habits. It’s not something of a religious nature, but a ritual that you’ve created or adopted to help you to be in that space of intuitive knowing. I couldn’t think of a better place to have taken this particular conversation into the place of self-trust. With all the work we’ve done with folks, there are two things that would wave a magic wand and the first would be self-love because it would take care of the second, which is self-trust. When you do begin to trust yourself, you also begin to love yourself more. I’ll share my ritual in a moment about self-trust leading to self love, but what are some of the rituals you’ve created or one in particular? A spirit is showing me like a lotus or an artichoke; multi layers, so it’s holistic. That’s the first thing. It’s not just wellness, there’s social, environmental, there’s spiritual, so there’s probably five core areas of life. Health, wealth, family, life purpose and spiritual connection in nature and things like that. To self-love and to self-trust, you do things in each of those areas to support your energy, your joy, and your health. For example, Ayurveda. Ayurveda is the life science about how to live according to the principles of your personal laws, which foods are good for you personally, not for everybody. Not all vegetables are good for everybody. Some vegetables will cause you gas and this person, they’re just fine with it, so it just makes like a tailored made suit. Ayurveda helps you with your foods, your aromas, or something for every sense. You have a foundation that your physical and emotional self is healthy. That’s one way of loving and trusting yourself. Thinking about energy medicine, thinking about nature, thinking looking to the light, listening for what’s the biggest thing I could do to impact the world, all of these levels, and what’s the best way I can be with my family and friends. They will all line up and they will all weave together in a lotus, in a loom blanket, in a tapestry. Instead of one thing, I open up and say, “For the highest good.” I’ll say silently, “Let this be for the highest good.” I don’t know what that is but I’m open to it. Sometimes it’ll be more family oriented, your astrology, your state, and you’ll say, “Today’s a good day to be with your family. Today’s a good day to be with business,” so just go with the energies that flow. It’s a dance. It’s the cosmic dance of life. It’s a Samba, a smooth flowing, energetic ebb and flow in life. Whatever’s presented to us, stay in their hearts, stay in that trust with God, and every day something new is presented to us. I did a house reading, an energy reading. I do land, health, clearings, and things like that. I helped a guy out. He rents houses to the college students and in one particular house there was always a legal issue. I went in and I cleared it out and when we were done, it was not one raptor in the tree. One buzzard, there were five in the tree. I said, “Look at that. That’s one validation times fives. I did all five of your houses.” If you hear the church bell rings, I’ve given presentations and seminars and I’d say something and also the church bell would ring. I told a group about how I did this, and the phone rang. Then people call people. I teach beginners meditation program. We talked about forgiveness and we did a meditation on that at the end of the course, a woman says, “I’ve got an email from the woman I learned to forgive, and she invited me over.” They love your pivot. It is such a wonderful word and I’m so grateful you even had me consider about it because all these wonderful things came out from it. I have a free meditation, a Tibetan bowl meditation. I created a field on my website. You just sign up and download that. We got an incredibly rich community and they’re very open to a lot of different things because pivoting is a way of life when we look at the essence of it. It’s the small changes that create transformation for ourselves. It could be a change in a mindset. It could be a change in the food that we’re eating or the exercise we’re doing or the way that we forgive or don’t or how we love, and oftentimes it’s small changes. That’s what we see. It’s not big major things. They’re dramatic. They make for good TV viewing and all that kind of stuff. It’s just not been my experience that you need to create a massive change to get transformation tweaks. I love Marianne Williamson when she has defined in the past to find a miracle as a mere change in consciousness. That is a miracle. To finish up the whole story and come full circle, I’ve written a screenplay, a comedy about shamans and trusting your heart and all of that. I’ve got a Hollywood producer and director and now we’re looking for investors. We’re going to make it ourselves, so we keep the vision intact. We went from college, radio, TV, film to spiritual, to both. The journey continues, so that’s perfect. Swami, you had a beautiful download, which was to define surrender as standing in the space where you’re going to meet God. Stand in the space where you’re going to meet God is a beautiful way to define surrender. That’s something that I intend to share and I want to think about that and I want to feel into that as well. As what you said, which is in terms of the ritual, the way you perceive the world, you think in terms of all is for the highest good. I like things that are usable. Sometimes things are, and sometimes they’re not. I would suggest that the folks in our community that you give this a try. Try this on for size, all for the highest good. It could be that you’re about to eat your meal. I love to pray and put love into my food and I say things. Before you eat, think, “All for the highest good.” When you meet someone on the street or you meet someone in the supermarket or you’re about to get on a phone call with somebody maybe you care for maybe somebody you don’t care for, think to yourself or say out loud, even if you like, “All for the highest good.” You’re about to get on stage, we meet people that are working on that aspect of their business or you’re going to give a presentation of some kind, you could think even in the midst of your nervousness, that nervous energy that you might be feeling, “All for the highest good.” Swami, that’s just so beautiful. It always works out. When I’m about to make a call, especially an uncomfortable call I say, “For the highest good,” and that person changes in that call. It’s an amazing call going. On stage, it just works every time. Ayurveda Encyclopedia: Ayurveda is the life science about how to live according to the principles of your personal laws. It’s love. The best of everything is a prayer, I don’t know how else to put it. Everything for me always results in in some form of prayer, in some form of gratitude. Once again, I will book in our podcasts here, our show with gratitude. Gratitude for you, Swami and much appreciation for you, who you are as a human being and for your time this morning and the time we got to share together and the ways that this time may well transformed the way other people are thinking about things in their own life. Here’s what I get to do in this position that I occupy at the moment. I get to set an intention for everybody, for you, for me, and for all of us that we get to wake up tomorrow. There are three steps to the ritual that I practice and then I’ve shared with people in many places around the world. The first step is that we wake up. We wake ourselves up in our physical bodies, but our mental and emotional and spiritual bodies as well. We wake up a little bit more tomorrow than we are even today and that will make tomorrow and even better day. When we think about the nth degree, we think about thinking forward. We just have to be a little better today than we were yesterday as a human being. The compounding effect that Einstein called the greatest miracle will take full force in our lives. We will feel that. We’ll see that. We wake up tomorrow is step one. Step two is that you can immediately be grateful in the moment of your waking. I get be grateful in the moment of my waking because I know as I take that first breath, that first conscious breath, that there are people who are taking their very last breath in that moment and that makes that moment sacred. There also people, brand new beings being born, taking their very first breath in that moment. It makes that moment very special, holy even. We wake up, we’re grateful for whatever it is that we feel grateful for, including that breath. If you are inclined to say it, stand up and declare out loud, “I love my life. I love my life; I love my life.” Everybody, have a beautiful day wherever you are, and we’ll see you again very soon. His speaking clients include top medical universities including Johns Hopkins. Swami has taught wellness & consciousness for 4+ decades. Swami Tirtha also teaches meditation for business and personal growth in all aspects. Thanks for an amazing interview Adam, your insightful questions kept the conversation alive and stimulating. Your posting video, audio, and text – along with highlighted quotes shows your care for your audience’s discovery preferences. Continued success in all areas of your life! Thank you, Swami. I am blessed to have incredible guests like you that make my “job” easy to do. I am very fortunate to be able to add another voice to your mission and impact. All the best to you as well. All my heart, Adam.